On Tuesday, a unanimous three-judge panel of the DC Circuit Court of Appeals declined to block the U.S. Environmental Protection Agency’s process of regulating greenhouse gases under the Clean Air Act. The 81-page decision upheld EPA’s 2009 endangerment finding that “anthropogenically induced climate change threatens both public health and public welfare,” and concluded that having made that finding, EPA is “unequivocally” compelled by the Supreme Court’s decision in Massachusetts v. EPA (2007) to regulate greenhouse gases as pollutants under the Clean Air Act. The panel also held that the parties challenging EPA’s action were not harmed by (and thus had no legal “standing” to challenge) the Agency’s decision, via the “tailoring rule,” to regulate only the largest sources of greenhouse gases. The court thus swept away the last remaining obstacle to broad regulation of the largest category of greenhouse gas polluters, existing stationary sources. 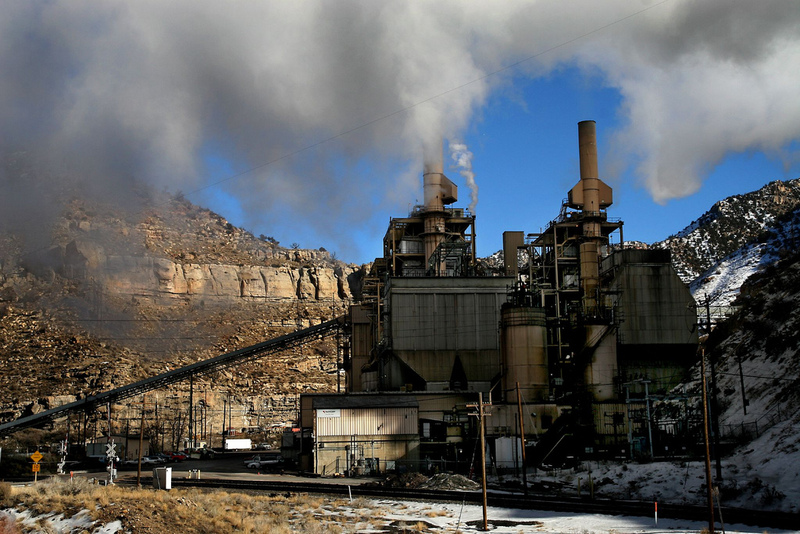 The ruling came the day after a report in Bloomberg News that owners are selling off, at deep discounts, coal-fired power plants that have been under EPA mandates to install emission controls on “conventional” (non-climate) pollutants such as sulfur dioxide and mercury. The fire sale occurs as cheap natural gas has been displacing coal as the main fuel for electricity generation in many parts of the U.S. Calculations by the Carbon Tax Center’s Charles Komanoff show a 14% drop in coal-powered electricity last year vs. the 2007 peak, with nearly half of the decline filled by gas (with the rest from increased wind and hydro-electricity). Behind the coal-to-gas trend, which is accelerating thus far in 2012, are 10-year low natural gas prices stemming from the controversial fracking boom. The spectacle noted in the Bloomberg article of billions of dollars left “stranded” in uncompetitive coal-fired power plants points to a serious limitation in using the regulatory process to constrain emissions of greenhouse gases. 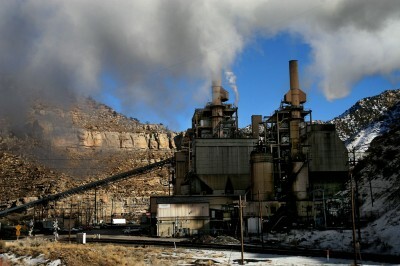 If regulation, rather than carbon pollution taxes, is to drive the 80% or greater reduction in emissions that scientists say is needed in the next several decades, then emissions standards for coal plants will need to be tightened again and again, rendering many of those investments obsolete long before the end of their assumed economic life. Indeed, “stranded capital” looms as a huge problem in any inflexible regulatory system to cut down on sources of greenhouse gases that have long lives. Adding costly capital equipment to those dinosaurs is likely to waste utility ratepayers’ money while driving up the financial stakes of owners who have invested in retrofits that may never get to pay for themselves. Because stabilizing the climate will be a long-term and very capital-intensive process, the cost of inefficiencies built into regulations will be enormous and cumulative. In contrast to this regulatory lock-in, a predictable, gradually-increasing carbon pollution tax would reward long-term investment and innovation in the lowest-carbon technologies while reducing demand. Even too much investment in gas-fired power plants might be ill-advised under a briskly-rising carbon price. As things now stand, the renewables industries must make regular pilgrimages to Congress to continue their life-support “production tax credits.” A long-term, rising carbon tax would make long-term investments in renewables safer while spurring innovation (and obviating the need for those pilgrimages). And a rising carbon tax will also signal when to efficiently retire old, coal fired power plants — dirtiest first. Economist and former Undersecretary of Commerce Robert Shapiro was asked about climate policy at a recent National Journal panel. Shapiro said that as EPA moves ahead with greenhouse gas regulations in the next year, he hopes complaints from industry will spur Congress to replace those cumbersome regulations with a more effective, broad-based carbon pollution tax. That prospect gives a new dimension to yesterday’s DC Circuit decision to uphold EPA regulations. The decision is indeed a victory — not because EPA regulation of existing stationary sources can be effective long-term climate policy, but because the threat of their cost could help prod Congress to take the most efficient (and least bureaucratic) step to reduce carbon emissions: enact a substantial, gradually-rising carbon pollution tax. Shortly after posting this commentary on June 27, I received e-mail comments from three well-known analysts of climate policy ― two resource and environmental economists and an attorney who has analyzed ways to regulate greenhouse gases under the Clean Air Act. We share some of that exchange below. ― James Handley, June 30. Commenter 1: James – a nice piece, lots of important issues here. But I think you are mis-stating the stranded costs problem, and overstating the merits of a carbon tax. You have compared myopic regulation – this year’s regulation can be treated as permanent until, oops, we have to change it again – with a long-term, gradually and predictably rising carbon tax. One could equally well have long-term, gradually and predictably tightening regulations, or a myopic carbon tax (it will never go above $21/ton until, oops, etc.). James Handley: True; there are no guarantees that a carbon tax would keep rising. But a revenue stream (especially if committed to an important purpose in advance) seems to offer additional incentives to stay on course. C-1: A long-term schedule of predictably tightening future regulations would have the same salutary effect as a long-term schedule of predictably rising carbon taxes (and would be almost equally difficult to achieve, in realistic political terms). JH : Yes, Joe Aldy [former Obama White House climate economist, now at Harvard Kennedy School] suggests a carbon intensity standard declining on a pre-announced schedule. Richardson & Burtraw (Resources for the Future) have expressed doubt about whether the Clean Air Act offers such flexibility or allows more flexible options like utility-wide carbon intensity standards. (See Greenhouse Gas Regulation under the Clean Air Act: Structure, Effects, and Implications of a Knowable Pathway.) EPA said in a Notice of Proposed Rulemaking that it is not mandating fuel switching and does not contemplate it as a compliance option — which I think also means they’re contemplating rules that can be met without switching to renewables. So the “knowable pathway” probably comes down to plant-specific technology standards. And those are hard to ratchet down, especially predictably and smoothly. In practice, EPA tends to look at the technology available and set standards that can be met. So I don’t expect EPA technology mandates to offer anything like the flexibility and predictability of a tax. Nor do they offer revenue, create broad incentives to reduce energy demand or offer monetary incentives for innovation. C-1: I think a carbon tax along the lines you propose would be great. But so would a well-planned, progressively tightening system of command-and-control regulation. The real advantages of a carbon tax, in terms of administrative simplicity, are important for many purposes, but it isn’t right for every situation and it shouldn’t be oversold. JH: Having worked to prosecute polluters for 14 years at EPA, I have doubts about the Agency’s ability to effectively enforce declining technology-based emissions standards. I feel more confident that IRS can collect a carbon pollution tax. Commenter 2: Excellent dialogue that inspires many thoughts, and two comments. Despite many virtues, I am not convinced a carbon tax is administratively simpler. It could/should be, but won’t necessarily be simpler. Various exemptions and especially border tax adjustments or rebating revenues to energy intensive trade exposed industries could get complicated. JH: Compared to the voluminous EPA Clean Air Act regs? We like the Border Tax Adjustment (BTA) in Rep Stark’s bill, the Save Our Climate Act. It’s short, not complicated. And BTA’s strike me as vastly superior to rebates of carbon taxes to the Energy Intensive Trade-Exposed Industries. Rebates would enshrine dirty, inefficient practices and sacrifice revenue; BTA’s would protect domestic industry while offering a rising bounty for trading partners to enact their own carbon taxes. C-2: I think a BTA will become more complicated when offended parties claim things like their renewable support programs or smooth roadway surfaces or color of roofing shingles contribute to mitigation efforts, and hence must be considered as part of a border tax adjustment calculation that is tied specifically to a carbon tax. C-2: My other comment is that although EPA cannot raise revenue for the national government, I understand it could raise revenues for state governments. That is, a plausible scenario is that states administer implementation plans under the Clean Air Act that raise revenues through taxes or auctioned allowances. There are a lot of possible obstacles to that happening, especially political, but no single legal obstacle…so I understand. A real conservative might like that state’s rights aspect of CAA regulation. JH: That’s interesting. States enacting carbon taxes as their State Implementation Plans to meet their Clean Air Act requirements. Does that assume EPA chooses to set a National Ambient Air Quality Standard for CO2? In various Federal Register notices they’ve shown no stomach for NAAQs, despite Bill Snape’s (Center for Biological Diversity) efforts. And 50 separate State Implementation Plans? What about the law of one price? All kinds of arbitrage and distortions there? And wouldn’t the international trade harmonization problems come up then, too? C-2: 50 SIPs, not. For instance, the northeast states will try to submit a coordinated SIP around a strengthened RGGI [Regional Greenhouse Gas Initiative], with one price in that region. Given the flexibility of it, Pennsylvania might opt in, compared to less flexible options. In sum, I would walk to Chicago to get a carbon tax in place, but I am increasingly dubious of the Faustian bargain some have suggested of sacrificing the Clean Air Act in exchange. I really agree with [C-1] about the virtues of the CAA. Let the CAA go slack or lag behind if the tax is doing the work. But I would be glad it is there as a backup. Nonetheless, I will walk with you to Chicago. JH: I imagine we’d have a good time. Maybe Jim Hansen and Bill McKibben would join us. C-2: I’ll carry a copy of the CAA as ballast in my backpack. JH: It’s ~ 300 pages [the Clean Air Act statute]. But I meant the implementing regulations (in the Code of Federal Regulations) ~ 10x. I knew EPA lawyers who enforced just one part of the CAA regs (e.g. mobile source rules) for decades. I much appreciate this discussion, your solidarity “walk to Chicago”… CAA as a backup to a carbon tax might be point where some bargaining could happen. It might also help address the concern about a carbon tax not rising or not rising fast enough. Commenter 3: I agree 99% with [C-2]. However, the 1% is that it’s not so easy to let the CAA “go slack”. It grants a lot of discretion to EPA about how to act but not over whether to do so. Mass v. EPA and the recent DC circuit ruling illustrate that EPA can be compelled to start the regulatory process, and that it is hard to stop it w/o legislation. I understand that summary elides over a political shift in the middle. I also agree strongly with the result in both cases (though I think the tailoring rule should go down if a plaintiff with standing can be found). The CAA isn’t written as a menu option. It’s a powerful statute that’s hard to stop. Usually that’s a good thing. But not always, especially when you have a better tool in place. The best solution would be a carbon price with a CAA tweaked to serve specifically as a backstop tool. But that’s a big political ask. JH: I take your word on the difficulty of letting CAA go slack… yes, a fall-back would be terrific. Would industry prefer a carbon tax (because of flexibility and lower cost) even with EPA as a fall-back?